Price includes a one color imprint on one side of these custom coasters. Perfect for restaurants, bars, mail-out promotions, announcements and more. Made in the USA with recyclable pulpboard. Due to the uncoated and absorbent nature of pulpboard material, imprint colors may appear muted. This soft look is not considered a defect. With offset printing we have much better control and increased print quality on our pulpboard coasters. Offset printing requires a minimum order of 10,000 coasters, but the price per unit is significantly less than our pad printed coasters. Please call our Customer Service Department with any questions or concerns. Repeat Orders - Exact repeat orders do not incur a screen or die charge unless artwork has changed. We will waive die and/or screen charge if an actual sample or artwork from a competitor is submitted. Please see production times for expedited lead time for repeat orders. I love the coaster that matches the shape and roundness of my logo right off the bat. Simple to order. Looked professional and within my price point. Perfect prize pack item for my event - great price and nice looking product. It seemed like nice quality and I didn't want a gigantic batch. Good price point - met my needs. Can you submit a logo to use for the design? BEST ANSWER: Yes these can be customized with a logo, text etc and the design is completely your choice. Yes. That's exactly what we did. PrintGlobe and I emailed each other for a couple weeks because we couldn't agree on something to make us both happy.. Then they gave us an offer we couldn't refuse and quality coasters! They came out awesome and we are glad to have placed our order with PrintGlobe. Hi Justin, thanks for your review! We are so glad to hear we were able to make things right for you, and that you are so pleased with your coasters! We appreciate your business, and look forward to working with you again on your next project! Everything I thought they would be. Good quality for a fair price. Printing was very professional. Shipping seemed a little high. Had some trouble with my graphics during the ordering, but printglobe worked with me to get it fixed. Love my coasters! Very professional and clean looking! very happy with the product, I will order from them again. Hi Susana, thank you for the positive review! We are so glad you are pleased with your coasters and we look forward to working with you on your next project! Look nice and work great on first use, tend to warp after getting slightly wet and can no longer hold a glass well. Thank you for your review! We offer coasters in other thicknesses, and made from other kinds of paperboard that are more resistant to warping and can stand up to multiple uses. Please contact your account manager to discuss our other options for your next order. 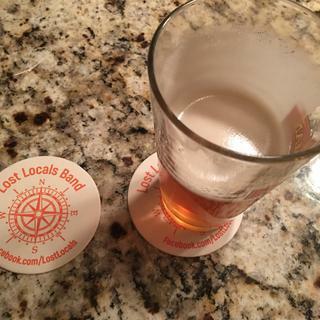 The quality of the print and the coaster are fantastic but simply, the logo that I submit is off centered. Otherwise, I absolutely love these. Thank you for your feedback. On small quantity orders some shifting may occur on press, or in die cutting. Round art work on a round item can exaggerate this shift making your artwork more visibly off center. We make every effort to minimize this shift but some movement is allowable. Your account manager will reach out to you to for images of your order so we can see if the shift is within an acceptable print tolerance. Thank you!